Attorney Abigail Miranda of Cramer & Anderson in New Milford, was recently recognized by Connecticut Magazine's 40 Under 40 list for her community service work. Connecticut Magazine has named Abigail Miranda, an attorney at Cramer & Anderson in New Milford, to its prestigious “40 Under 40” list of high achievers who come from different pursuits but all make a significant impact in their fields. The story is published in the February issue. The nomination letter states Miranda was named to the board of the Women’s Center of Greater Danbury in November 2016, is co-chair of the center’s annual gala and was asked to join the board of the Greater New Milford Chamber of Commerce. As an associate at Cramer & Anderson, Miranda has worked on several high-profile cases while establishing a diversified practice whose focus areas include divorce and family law, personal injury law and civil litigation. 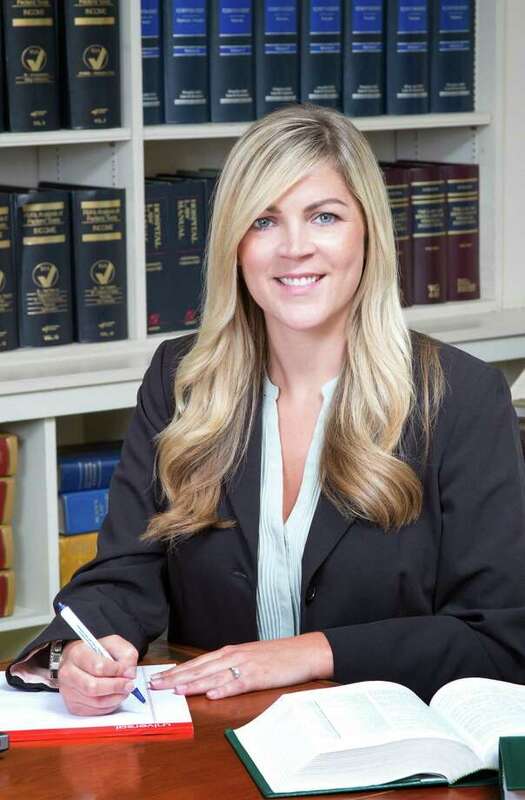 Making a personal connection with clients, being readily available, and establishing a strong sense of trust are guiding principles for Miranda, who has assisted DiBella with noteworthy cases involving a New Milford house explosion and the death of a cyclist. In the area of divorce and family law — about 40 percent of her practice — Miranda has handled custody cases and restraining orders, in addition to divorces and prenuptial agreements. She is certified by the state of Connecticut Judicial Branch to act as a Guardian Ad Litem and Attorney for Minor Children. Miranda was also named a 2017 New Leader in the Law as part of the Connecticut Law Tribune’s annual statewide Professional Excellence Awards. In nominating her for that award, Partner John Tower cited her “highly engaged caring” as the attribute responsible for helping Miranda blossom into a leader in client service, pro bono and reduced fee work, and volunteer community service.